One of the most treacherous malefactors on the prowl is Methicillin-resistant Staphylococcus Aureus, or MRSA. This highly contagious bacterial infection is commonly associated with people who have compromised immune systems, like hospital patients and the elderly. Over the past decade, an even more menacing strain of community-associated MRSA (CA-MRSA) has muscled its way into healthier populations, popping up like a malevolent jack-in-the-box in places and situations where people are packed tight— contact sports teams; gyms and locker rooms; schools and daycare facilities; prisons, homeless shelters, and military barracks. CA-MRSA is even turning up in spas, resorts, cruise ships, and nail salons. Left untreated, CA-MRSA can lead to sepsis, endocarditis, pneumonia and necrotizing fasciitis (necrosis comes from the Greek nekrōsis, “to make dead”). 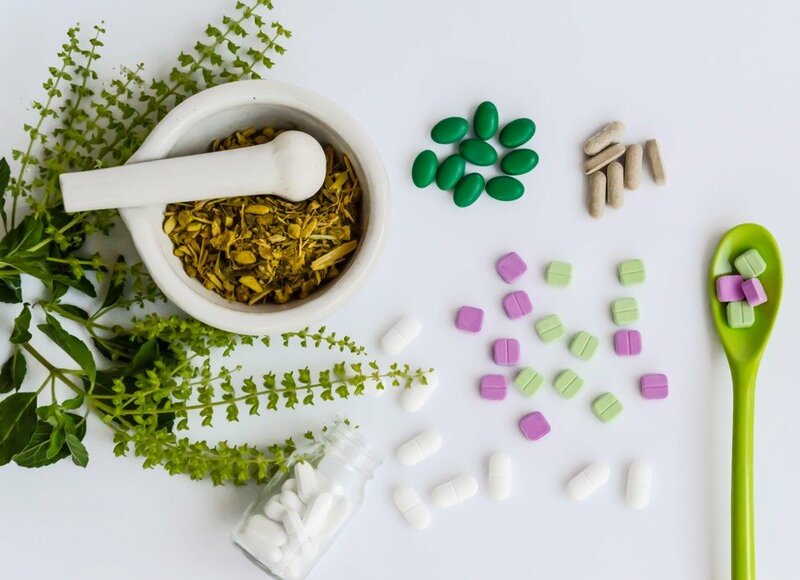 All of these complications are potentially fatal, and the beta-lactam antibiotics typically prescribed for staph (single-molecule drugs such as penicillin, cephalosporins, monobactams, and carbapenems) are proving to be no longer effective. Even Vancomycin, an “antibiotic of last resort,” is losing the fight against CA-MRSA. To complicate matters even more, the use of antibiotics – and the resulting disruption of the body’s healthy gut bacteria – is increasingly shown to contribute to future health problems. The first time I heard of MRSA was in the late 1990’s. A dear childhood friend contracted the infection, and it had become dangerously systemic. 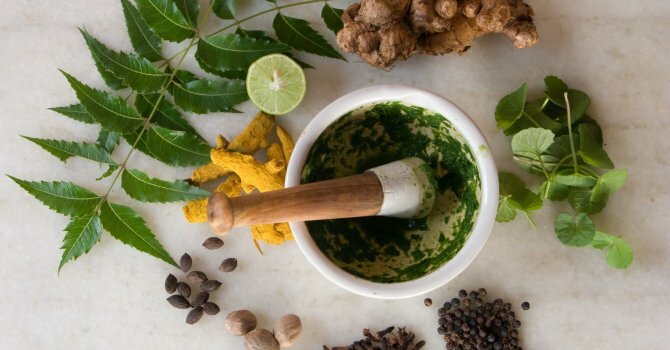 After doctors tried every available treatment – including a powerful course of IV antibiotics that turned my friend beet-red, covered him in hives, ravaged his kidneys, and made him so dizzy and nauseous he couldn’t keep food down –he died from associated complications. I went straight to my GP, who diagnosed a staph infection and prescribed an antibacterial skin cleanser and a topical antibiotic ointment. At first, I was somewhat relieved that this treatment wouldn’t involve carpet-bombing my friendly neighborhood of gut bacteria, given the importance of an up-to-snuff microbiome in so many aspects of our health. But after a week of washing my occupied territory as directed and applying the ointment twice daily, my bêtes noires show no sign of retreating. Like Napolean’s army, they were conquering new territory and morphing into something even more répugnant. I also heard about the potent antibiotic properties of mānuka honey, and I thought about combining it with a CBD-rich cannabis extract. While honey has been known since ancient times for its antibiotic and wound-healing properties, mānuka is something special. 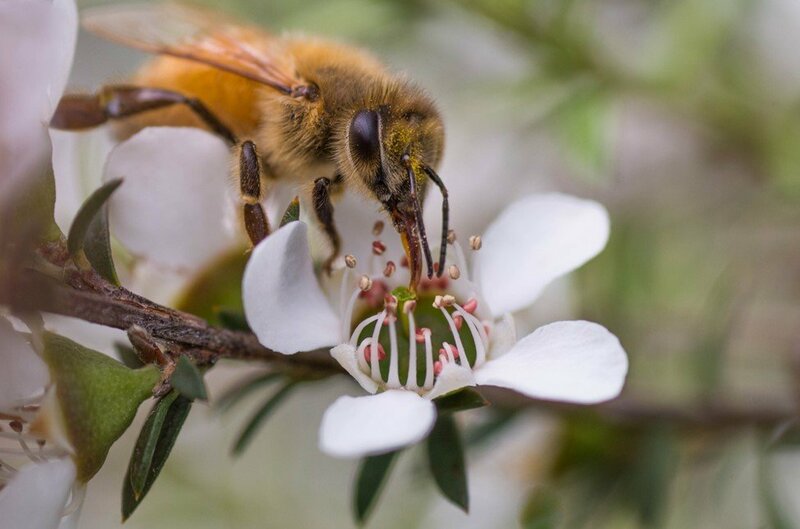 Made by bees from the nectar of Leptospermum scoparium (more commonly known as tea tree, a plant indigenous to New Zealand and Australia), mānuka honey has unique bacteria-busting abilities that scientists have only recently begun to investigate. A 2016 article published in Frontiers in Microbiology discusses how mānuka honey disrupts invading bacteria’s ability to produce biofilms. In another study, mānuka was shown to prevent bacterial subdivision, and it appears to evade bacterial resistance. Not only is mānuka honey effective on its own, but it also works synergistically with other antibiotics, increasing their effectiveness. So, I took matters into my own hands and made my own bacteria-killing juice. I decarboxylated the dried flowers of a CBD-rich cannabis strain called Blue Jay Way, which was lab-tested to show a 2-to-1 ratio of CBD-to-THC (14% CBD and 7% THC). I infused some olive oil using the old hippie Crockpot method. After straining out the plant material, I added some beeswax for its thickening properties. And when the infusion was mostly cool, I mixed in a generous amount of New Zealand mānuka honey with 20+ bioactivity. 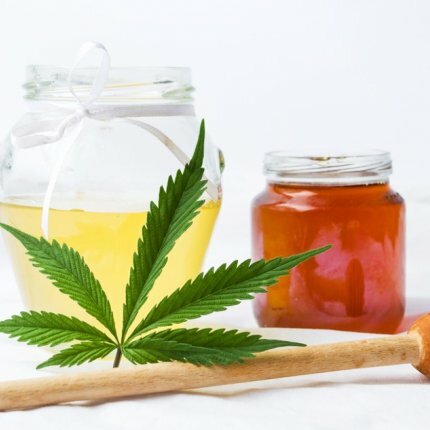 Unlike my experience with pharmaceutical antibiotics, whole-plant CBD-rich cannabis combined with mānuka honey did not cause any adverse side effects. Nor did it trigger a backlash of antibacterial resistance, which is threatening the very foundations of Western medicine. 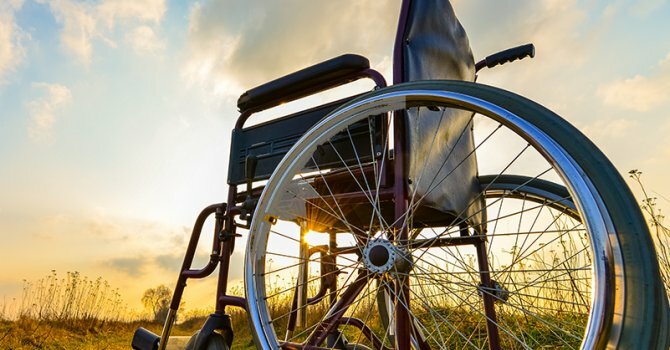 We’ve become increasingly dependent upon medical conveniences, quick fixes and silver bullets, while often ignoring their broader consequences. In our impatience to get on with the business of life, we don’t always pay attention to the subtler conversations our bodies carry on, day and night, in our microbiomes and beyond. Maybe it’s time to listen. Alvarez-Suarez JM, Gasparrini M, Forbes-Hernández TY, Mazzoni L, Giampieri F. The Composition and Biological Activity of Honey: A Focus on Manuka Honey. Foods. 2014 Jul 21;3(3):420-432. doi: 10.3390/foods3030420. Review. PubMed PMID: 28234328; PubMed Central PMCID: PMC5302252. A collection of published research articles and other educational resources about skin conditions and cannabis. How CBD Works We're still learning exactly how CBD exerts its therapeutic impact. Scientists have identified more than 65 molecular targets so far. 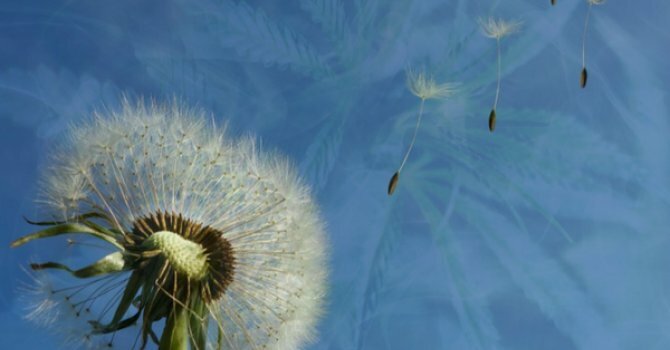 A collection of published research articles and other educational resources about antibiotic resistance and cannabis.